things that shine: I'm so excited! 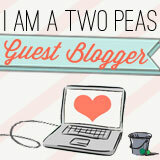 2Peas Guest Blogger! I'm so excited! 2Peas Guest Blogger! I am so excited to share my 2nd post as a 2Peas Guest Blogger. This one features a fun technique to make your own starburst background. And has a short how-to video! Please go check it out at the 2Peas blog!